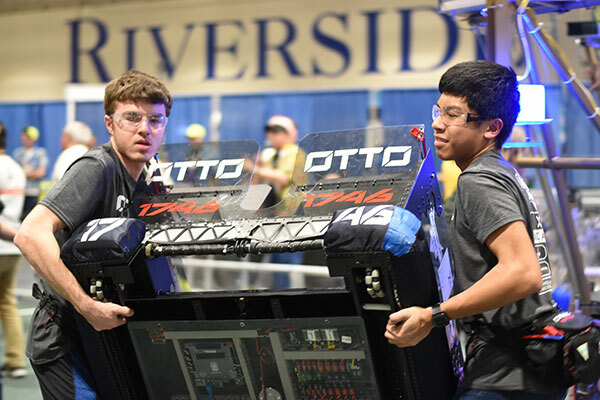 Help Team OTTO 1746 Travel to the World Championship in Houston! We are Team OTTO 1746. 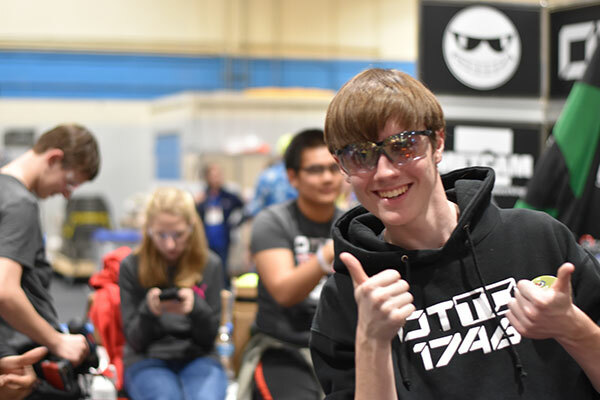 We aren't your typical high school robotics team; we are so much more than that. With the world around us beginning to revolve around technology, the time has come where the next generation has to step up to the plate. As a part of the international FIRST robotics program (http://www.firstinspires.org), we aren't just building a robot. We’re learning skills, obtaining experiences, helping others, and preparing ourselves for the future. Oh, and of course, having tons of fun in the process! Last year, our team was able to have its greatest year yet, achieving a state championship and district win, along with a district runner-up award. We were also given the opportunity to travel to Houston, Texas, for the World Competition, and wound up making into quarterfinals in the Carver Division..Not only were we able to achieve such high rankings, we were also to win the Industrial Design Award sponsored by General Motors for the quality, function, and design of our robot.None of these successes would have been possible without the support of our wonderful parents and sponsors. However, creating a robot capable of taking on world class competitors does not come without its costs. Travel costs and entrance fees for the Georgia State and World Championships alone will cost each family $1,247. These events, especially the world championship, are once in a lifetime experiences that students will remember for the rest of their lives. They allow students to work with teams from across the globe as well as make connections with dozens of colleges and international corporations. Our goal is to raise $10,000 to help reduce the burden on families so that the price is not as much of a hindrance. This money will go towards paying the $5000 entrance fee as well as $5000 in travel costs for the families. Rather than paying such a large sum, we are hoping to bring the cost down to $750 per family. But we cannot do this without your support! "The World Championship is a unique and exciting opportunity. Only the best of the best in the entire world get an invitation. And it is an honor to prepare the students to represent Team OTTO, Forsyth County, and the United States in such an amazing competitive event. You can view the calendar, add events to your own calendar, or subscribe to our team calendar using the links below.